You’ve never had it so good. 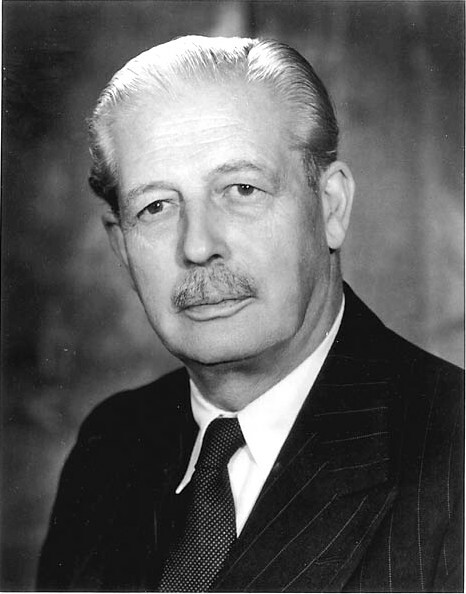 The catalogue of Harold Macmillan’s papers, held in Bodleian’s Department of Special Collections and Western Manuscripts, now online. Previously there was only a typescript catalogue. Please note that there are strict access conditions but they are available for research. 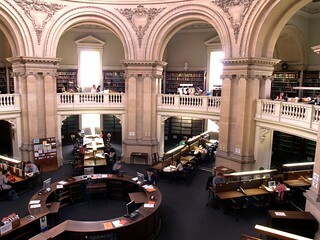 Undergraduates can use the Bodleian’s Special Collections but will need to register first. 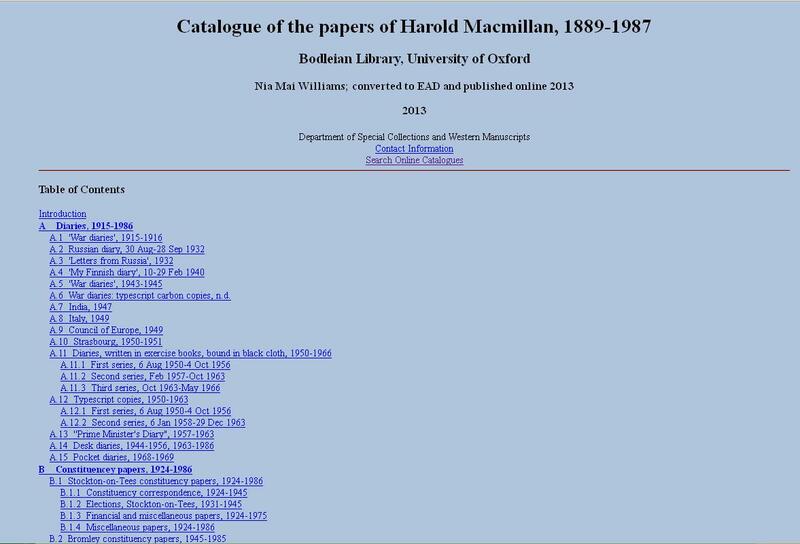 M Audiovisual material, 1949-1987 and n.d.
Macmillan Online offers direct access to documents from the highest level of Government during the Macmillan Administration. Topics covered include the Berlin Crisis, 1958-1961, the Cuban Missile Crisis, 1962, the Commonwealth Immigration Act, 1962, and the Profumo Scandal, June 1963. With some 30,000 images of original documents, taken from CAB 128 and CAB 129 as well as selected files from PREM 11 and CAB 124, this project is as important a source for world history as it is for British politics. This entry was posted in Electronic resources, For Academics, For Postgraduate students, For Undergraduate students and tagged catalogues, Great Britain, manuscripts, modern history, thesis by iholowaty. Bookmark the permalink.